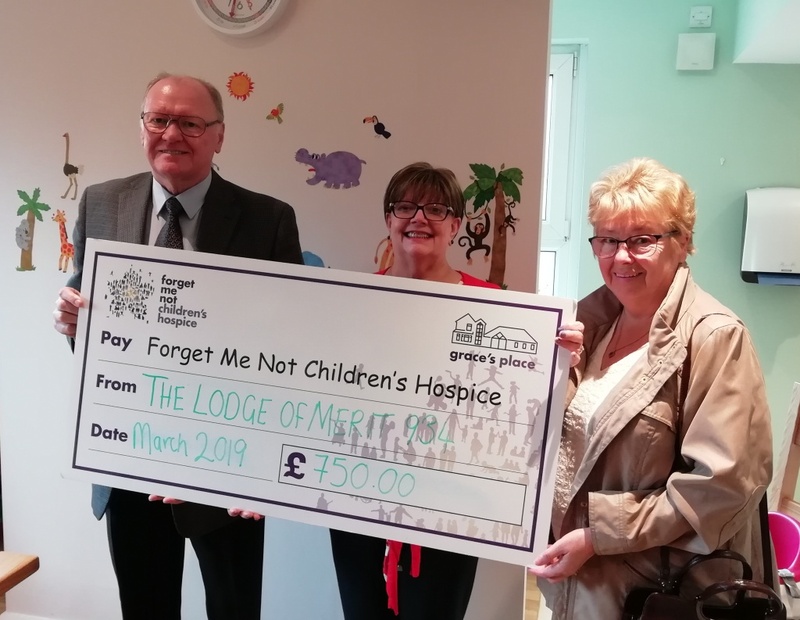 At the recent Installation Meeting of the Lodge of Merit 934 meeting at Bury Masonic Hall the new Worshipful Master, Alan Ikin, proposed that, in addition to a substantial donation to the ELMC, a donation should be made to the new ‘Forget Me Not’ Children’s Hospice. A sum of £750 was approved by the brethren and subsequently Alan, together with his wife Delina, had pleasure in visiting the hospice to make a presentation. The new hospice still goes under the former name of ‘Graces Place’, situated at the old Bury Hospice site on Dumers Lane in Radcliffe, but is now under new management.